Maybe it’s the time of the year, maybe it’s just me, but I have a thing with witches, ghosts, psychics, and haunted houses. Throw in the roaring 20s, the Jazz Age, circus freaks, and I’m all ears. Is there life after death? That question has been posed for all of human history, but not until the 1920s rolled around and folks were desperate to connect with departed loved ones, those who had sacrificed their lives to the torrents of WWI, or passed on from the devastating Spanish flu epidemic, the search for an answer was at an all-time high. The bereaved fell out of the shadows, seeking spirit guides and mediums to help them connect to their loved ones. And then the Scientific American magazine got wind and launched an ambitious study into the paranormal, resulting in a contest to find an authentic medium. A cast of five judges were assembled to judge the psychic phenomena. 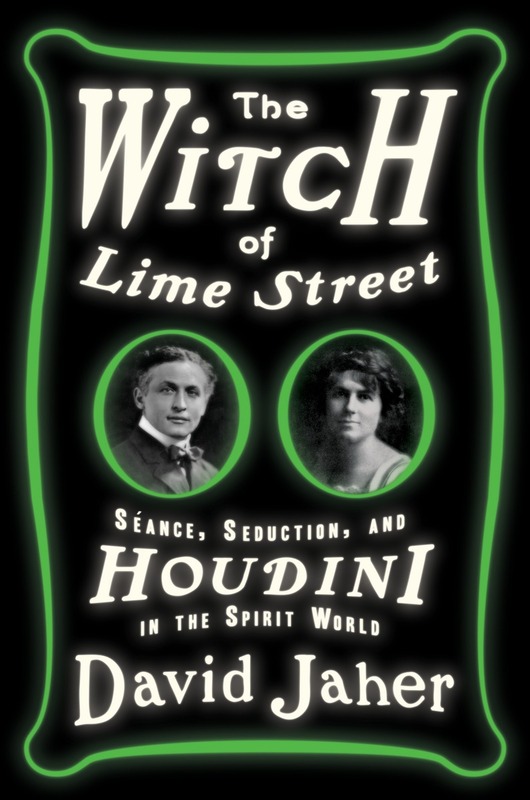 Today, I am honored to have author David Jaher chat with us about his meticulously researched THE WITCH OF LIME STREET. Leslie Lindsay: Thanks for popping by, David! I am in awe with THE WITCH OF LIME STREET. First of all, it’s so comprehensive. Secondly, how or where did you first learn of Margery, the witch of Lime Street? Do you have any family connection—someone perhaps who served in the First World War, or was inflicted with the Spanish flu? David Jaher: Thanks, Leslie. I appreciate your taking an interest in The Witch of Lime Street! Margery makes an appearance in virtually all Houdini biographies, and I believe the first time I heard about her was in Ken Silvermans’ book, Houdini!!! She came across as such a colorful and controversial figure; the most well-known medium at a time when there was a mainstream fascination with Spiritualism, seances, and psychic research. I remember thinking at the time that her famous rivalry with Houdini deserved a book of its own. No, I have no notable family connection to the First World War or epidemic, but I have always had a fascination with that war. L.L. : So much research has gone into the writing. Can you give a brief glimpse into your research—the time you poured into the subject? David Jaher: As the son of an American historian, I guess I am something of a research fiend, and I may have gotten a little carried away in seeking material. I researched the book for about 18 months before I’d even started writing. But I did love the process and have great memories of my research trips, particularly to Houdini’s pictaresque hometown of Appleton, Wisconsin. You really never know where you are going to find a research gem. Some of the best material came from archives in England. I loved the detective aspect of searching the world for material. One of my most helpful finds was an unpublished biography of Margery written by the scientist Mark Richardson, a close friend of her’s. I think it had been in a basement in Maine for half a century. In general, though, I found the most useful material by combing through the many newspapers of the day. L.L. : So…ectoplasm. I was always under the impression that it was something created by Hollywood as in “Ghost Busters” and Slimer. But apparently, it is not. Can you touch on that, please? David Jaher: Well, Hollywood typically imitates rather than invents. A Noble Prize winning France physiologist named Charles Richet, who sat for seances in Paris with Margery, coined the word “ectoplasm.” It is a supposedly ethereal substance that mediums secrete from their orifices during séances. And it is from ectoplasm that ghosts and spectral apparitions are said to form. 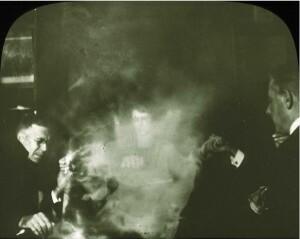 In séance photographs of the period, you can see physical mediums like Margery suffused in an ectoplasmic mist. To authenticate and capture samples of ectoplasm was a kind of scientific grail in the early 20th Century. L.L. : Nowadays it seems as if supernatural phenomena is on the on the way out, snickered at, or otherwise disregarded, yet there is clearly an interest, or curiosity, from television/movies and books with a supernatural vibe. Are you aware of any scientific research being done to validate the presence of the supernatural? David Jaher: Joseph Rhine, who was largely responsible for taking psychic research out of the séance room and into the laboratory, was probably the last well-known researcher of psychic effects. He founded and then ran the parapsychology lab at Duke University until his death in 1980. Princeton also had an ESP lab that closed in 2007. Today, the Division of Perceptual Studies at the Univerity of Virginia actively investigates paranormal phenomena. And there are still private institutions that are dedicated to these studies: The English SPR, the Parapsychology Foundation, Windbridge Institute, and the Parapsychological Association are agencies that come to mind. L.L. : Have you ever experienced any personal supernatural happenings? Can you share? 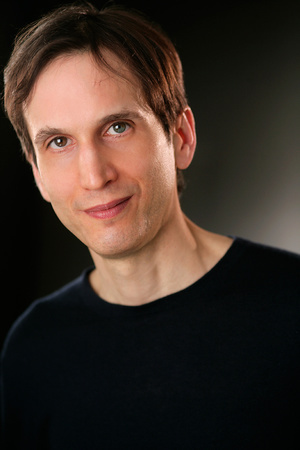 David Jaher: No, not like the characters in this book. But I think that everyone has had dreams, which if they remember and pay attention to them, can be construed as psychic. Once I had a dream that myself and two college friends, one of whom I hadn’t spoke to in many years, were cutting down a tree. In many mystical traditions the tree is a symbol of life. The next day I learned that my friend’s mother had died. And a few days later the three of us were together at the house where the mourning was held. Of course this can also be perceived as a coincidence but those two friends had not been on my conscious mind before that dream and death. L.L. : Halloween is right around the corner. I understand there are a group of folks who set out to connect with the spirit of Harry Houdini. Have you ever attended? And what was the outcome? David Jaher: I’ve atttended a couple of these seances, which have been organized for decades by Houdini acolytes. Sid Radner, a magician who was close friends with Houdini’s brother, was responsible for maintaining this tradition until his own death a few years ago. Sid and others associated with the seances told me some eerie stories and Houdini did make compacts, most famously with his wife, to try and communicate from beyond the grave. 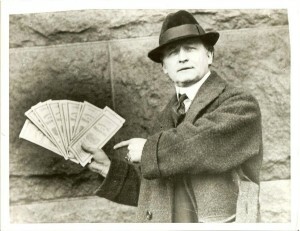 But there have been no convincing messages from Houdini. I was at one seance that was held at the Massachusetts home where Anna Eva Fay, one of the great mediums of the Gilded Age, used to live and conduct sittings. The medium had a message for me that day. She said that she saw me with Barbara Walters. We’ll see how that plays out. L.L. : What are you obsessing on now? Can you elaborate? David Jaher: My Chicago Cubs and how well they’re playing. L.L. : Yes! They are playing well. At least for now. Thank you, David for talking with us about your book, THE WITCH OF LIME STREET. Happy Haunting! David Jaher: Thanks for having me.